Stimulus is the essence of any audiovestibular investigation and ocular vestibular-evoked myogenic potential (oVEMP) would be no different. Several investigations have examined the effect of frequency of stimulus on oVEMP parameters with prime reports concentrated around amplitude and to a lesser extent threshold. Effects of stimulus frequency on latency-related parameters have been sparingly explored with equivocal results. Thus, the aim of this study was to investigate the effects of air-conducted frequency-specific short tone-bursts on latency, amplitude, and threshold-related parameters of various peaks of oVEMP. A normative study was conducted to obtain oVEMP responses from 50 healthy individuals in the age range of 18 - 30 years. 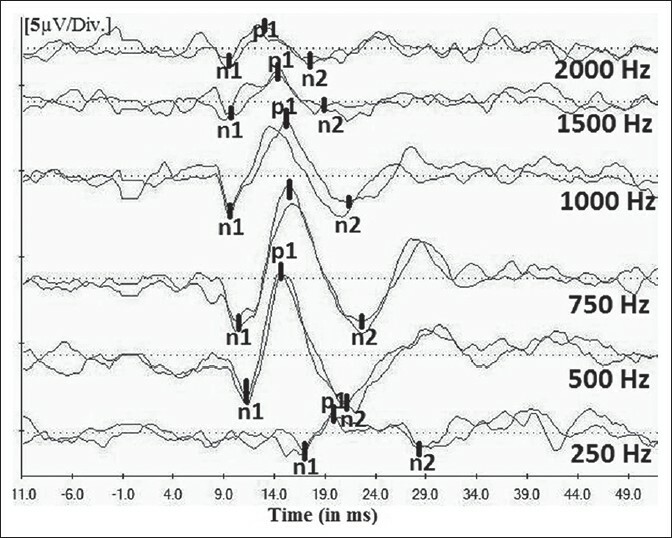 Tone-bursts at octave and midoctave frequencies from 250 to 2000 Hz were used to acquire responses from the inferior oblique muscle using contralateral electrode placement. oVEMPs were present in 100% of the individuals at or below the frequency of 1000 Hz. The largest amplitudes and the lowest threshold corresponded to 500 Hz tone-burst, whereas 250 Hz produced largest absolute latencies as well as interpeak latency intervals (P < 0.05). Frequency had no effect on interaural latency difference as well as interaural amplitude ratio. Owing to largest amplitudes and best thresholds, 500 Hz appears better stimuli for clinical recording of oVEMPs. This is true irrespective of the peak complex being assessed is n1p1 or p1n2. Objectives: The present study aimed to construct a bedside assessment protocol and grading scale to assess and grade orophayngeal dysphagia in a heterogeneous sample of the patients. This study also aimed to determine the utility of the constructed assessment and grading scale in terms of reliability and validity. 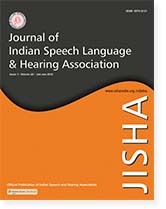 Materials and Methods: The Nair hospital bedside swallowing assessment (NHBSA) and Nair hospital swallowing ability scale (NHSAS) were constructed after reviewing pertinent literature. 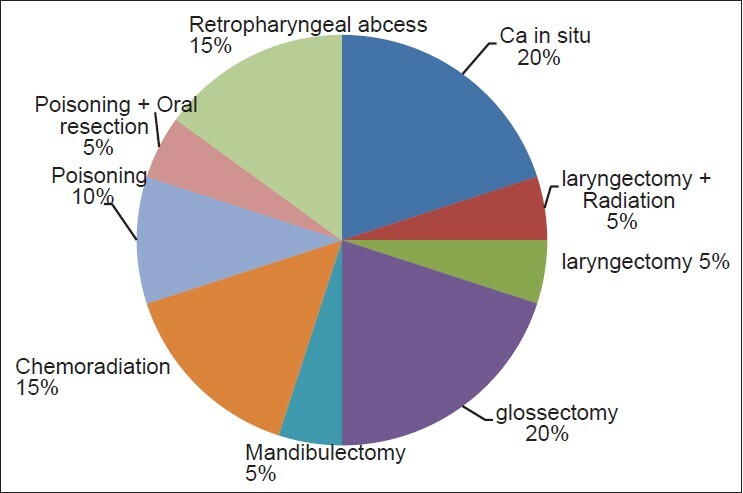 Fifty individuals with oropharyngeal dysphagia were assessed and graded using the constructed assessment and grading scale. Of the total sample, 10 individuals were subjected to a modified barium swallow (MBS) evaluation. Results: The NHBSA and NHSAS show high reliability and high face and content validity. Comparison with MBS revealed that the NHBSA appears to be promising in accurately identifying dysphagia and aspiration. Also, the NHBSA and MBS diagnosed the same phases of swallowing to be affected in eight out of ten patients. 'Wet-gurgly voice quality,' 'cough after/during swallow,' and 'weak/absent volitional cough' were the clinical indicators that appeared to correctly identify presence of aspiration risk. The NHSAS shows sensitivity to change in swallow function and oral intake overtime. Conclusion: The NHBSA appears to be a simple, quick, reliable and valid clinical assessment that can be used to assess the oropharyngeal dysphagia at the individual's bedside with minimal risk for discomfort or aspiration. Also, the NHSAS appears to be useful tool for clinically grading individuals with dysphagia into categories based on swallowing ability, and enables making recommendations.